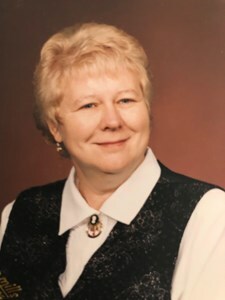 Newcomer Family Obituaries - Marilyn Lucille Scott 1937 - 2019 - Newcomer Cremations, Funerals & Receptions. On February 8, 2019 Marilyn was called home to be with the Lord and her loving husband of 62 years. We take great comfort in knowing Dad “Den” was without a doubt waiting for her with his arms wide open ready for their overdue embraces. Marilyn, was born in Minneapolis, Minnesota where she grew up cultivating her understanding of honesty, integrity, self-reliance, hard work, loyalty, and above all devotion to family. She never wavered on these values, and was blessed to have met a man that that would share these same values with her for eternity. For which, we her children, are the grateful recipients of their union. Mom was a strong, intelligent woman resolute in her beliefs; and was not shy to share those beliefs with others. She had a wonderful creative gift that she used to express herself and her love of life. In order to gain a full understanding of this remarkable lady’s heart and spirit; one only needed to be invited into her home which was illuminated with her gift. Even with six children running about or the numerous grandchildren, her home was always warm, welcoming, and comforting. Friendships were just as important to her as family and made many of them throughout her life. Every opportunity, whether it was during her school years, church family, workplace, or with new neighbors that she met during the moves from Minnesota to Wisconsin, then back again to Minnesota, finally settling in Colorado as our family followed Dad’s career. Retirement did not slow her down either as she continued to make close friends in the mountain home that her and dad built in Indian Mountain, Colorado. She cherished every one of these friendships and spoke fondly and lovingly of each of them up until the day of her passing. The world was a better place with her in it, a blessing from God, she will be missed by all until the day that she rejoices with us again in God’s house. Marilyn is preceded by her (husband) Robert Dennis Scott’s passing in 2013 and is survived by her six (6) children: Jacqueline (Tim), Laureen, (Michael), Karen (John), Chris, Michele (Sean) and Rebecca and thirteen (13) grandchildren and (14) fourteen great-grandchildren. It was Marilyn’s wish that In lieu of flowers, memorial contributions donations be made in her name to a charity of your choice. To share a memory of Marilyn or leave a message of condolence for her family, please click the "Share Memories" button above. Add your memories to the guest book of Marilyn Scott. My husband Eric and I and our children have so many wonderful memories about Marilyn it’s hard to share just one. Though we were not related we were family from the moment we met and it never changed. We only got closer and closer as the years went by. From the first day she opened her house to us fed us and took care of us. She was so kind so giving and most importantly so loving. We grew so close I started to call her my Colorado mom. I (we) loved her so very much. My life will never be the same without her in it. Even knowing she is in Den’s arms and the Lord’s House we will miss them both down here. We will carry them always in our hearts till we meet again. And Marilyn thanks again for being such a “great mom” to me and my family?? Kathy and I have made a donation to the Catholic Charities, Archdiocese of Denver, as a memorial of Marilyn. We're sorry to miss the funeral. Marilyn and Den were very special and dear to our family; they were our Colorado grandparents and we loved them both very much! They will be deeply missed and have left and incredible imprint on the world and to everyone that has ever met them. Sending your family lots of love from the Berglunds in Illinois! A great memory for me was visiting with Marilyn and Den at their cabin. Mike and I were on one of our South Park fishing trips and spent the evening with Marilyn and Den playing 31. As I recall Marilyn was a bit of a card shark with an attitude. What a fun evening. Thinking back to the trip, I can’t recall how many fish I caught. I can’t remember what the weather was like. What I can remember is the fun time we spent playing cards. Visiting grandma’s home was always something that I enjoyed. I remember her spending some time with me at the piano when I was a young girl - teaching me how to play Jingle Bells. Beside the enjoyment of gathering with family, I was enchanted to inspect all the Precious Moments she had collected; each was a piece of art. For many years she shared a similar type of art with me by giving me a Hallmark ornament for Christmas. Every year as I decorate my tree I am reminded of her thoughtfulness.